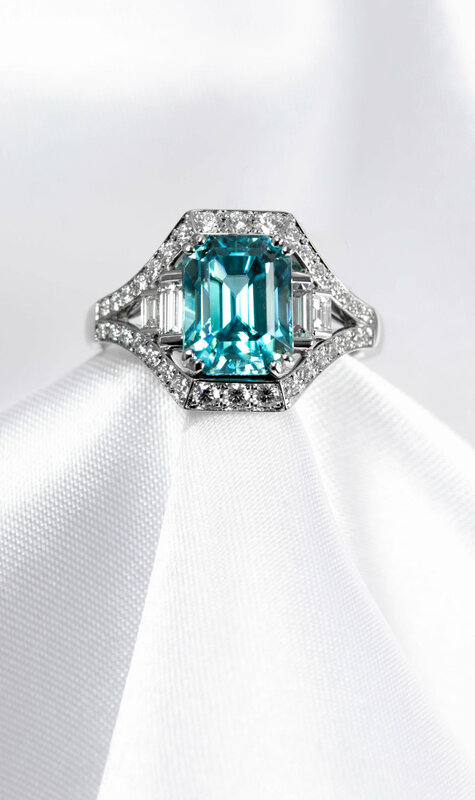 Blue Zircon and Diamond ring. Bespoke platinum and diamond mount made for our customer’s 5.02ct blue zircon emerald cut stone. The stone had come from an old ring but needed re-polishing and making look a little more special. We think it worked!